Taking photos on one of the most threatened species in the world is not an easy job. But we love challenges, right? The current situation of the Iberian Lynx is a big conservation issue itself. No more than 50 individuals in reproductive age are estimated in each area of distribution. 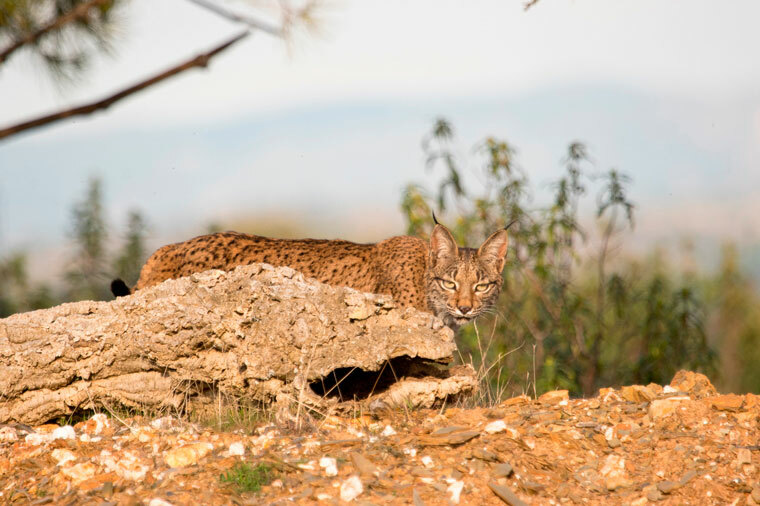 It is present in Doñana National Park, Cardeña y Montoro Natural Park and Sierra de Andújar Natural Park where the lynx has its bigger population. Other small populations with less than 15 individuals have been recorded in the South mountains of Madrid, Montes de Toledo and spots of Ciudad Real province. So, we have reached an agreement for working together WILDPIX TRAVEL, WILDWATCHING SPAIN and PHOTO LOGISTICS in a gorgeous state in Sierra de Andújar Natural Park, Puertobajo. The most important thing to keep in mind in Iberian Lynx photography is that it is strictly forbidden to bait the animals. So, any person who baits a lynx with the aim of take photos on it is acting out of the law. We understand that that rule has the goal of do not make the Lynx dependant on any food source handle by humans. Then, how to set a hide for Iberian Lynx with some odds to have a successful photo session? The only answer is “with a lot of hard work behind every photo”. 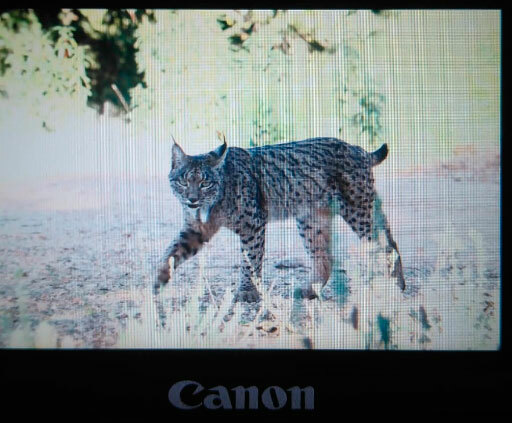 In Puertobajo we have watched over the main tracks than the Iberian Lynx uses in their hunting itineraries and we have settle our hides according with this information. Furthermore, some rabbit housing have been built in the state in order to help the main prey of the Iberian Lynx. A good vegetation management also helps. We also expect that you help: our photographers should be in the hides, from sunrise to sunset. That is why they have installed double hides and with room enough. They should also avoid any noise, no matter how small they may be, it is very different to wait for a bird that comes flying than a mammal that comes walking from far away and has a surprising hearing. Likewise it is requested to avoid strong smells and wear dark clothes inside the hide. This is the only honest way to proceed as far as we know. Of course, the probabilities of taking photos are lower than baiting. Now we estimate than the probabilities of taking photos from our hides in Andújar are about a 60%, according with our last data. So, all three companies are offering this service deeply suggesting book for almost two days and we have a different price in case of failed session. We also suggest to combine the hide sessions with Iberian Lynx safaris leaded by our specialised guide in the area. In the same state we are also working with other species in order to offer a complete stay in the area.